It has been decades since dioxin, a chemical contaminant, overtook the Mossville, Louisiana population. The deleterious toxin reigns supreme over its residents, conquering their lives one by one. Today, the African American community of Mossville is surrounded by fourteen industrial facilities within a half mile radius. These buildings have been spewing hazardous substances into the air to the detriment of the surrounding citizens. 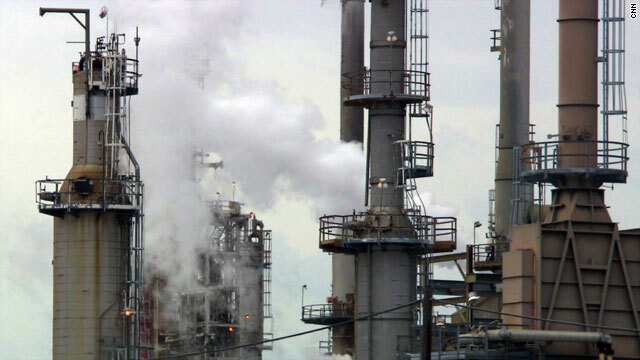 Despite the fact that these industries hold the necessary permits designated by the Environmental Protection Agency (EPA), Mossville residents have consistently complained about the toxic emissions affecting the air, land, and water, In 1998, the Agency for Toxic Substances and Disease Registry conducted a study by collecting blood samples from Mossville residents and some from the general population of the United States. It found that the average Mossville resident contained nearly three times the level of dioxin than the average U.S. citizen. These alarming numbers signaled that an environmental intervention was needed. Unfortunately, it never happened. The EPA sidestepped its obligation to provide restoration by ignoring the complaints and demands of Mossville residents dating all way back to the late 1990s, a clear indication of environmental racism. The agency’s refusal to amend an environmental situation directly in violation of its own safety guidelines is a clear sign of hypocrisy. The disproportionate siting and the permitting of toxic industrial plants clustered near the African American residency reflects a clear pattern of environmental injustice. A study published in the Journal of Epidemiology and Community Healthy discovered that there was a strong correlation between the location of hazardous industrial facilities and a local population comprised of African American minorities throughout the United States. It seems that African American communities are consistently taken advantage of, an issue that urgently needs to be addressed. In Louisiana, eighty percent of African Americans live within a three mile vicinity of a toxic facility, even though they make up just thirty-four percent of the state’s population. Not only are the placement of the industries indicative of environmental racism but so too is the EPA’s stringent refusal to provide any means of restoration. Unfortunately, such a case is just one of many that plagues the United States. Racism is still alive and well today and is especially prevalent in terms of environmental discrimination. The culprit? Legal violence. Legal violence, defined as the harmful obstacles the law, or representatives of the law, placed to obstruct and derail a person’s path to incorporation and assimilation into an equal society, floods our legal system today. Although there are no laws that blatantly discriminate against African Americans, the actions and behaviors of enforcers of the law indicate inherent prejudices. These inherent prejudices stem from the idea of racial “common sense,” or the associations we make among individual characteristics, attitudes, and even preferences towards individuals of a perceived group membership. Legal scholar Ian Haney-López, a Boalt Professor of Law at UC Berkeley, argues that these notions of racial common sense have been so widely shared and relied upon that they are viewed as timeless truths perpetuated and entrenched throughout history. The basis of racial common sense is the concept that it is unintentional. Because these stereotypes are so ubiquitous and pervasive, people actively use them without considering the consequences of their actions, hence the phrase “common sense.” Enforcing racial common sense becomes so second-nature that it gradually evolves into legal violence. In the case of Mossville, the EPA’s obstinate refusal to provide any means of recovery is a form of legal violence. Even though dioxin, established as a serious threat by the EPA itself, has affected nearly all of the Mossville residents, their complaints have been largely ignored. Dioxin is known to create health risks such as cancer, severe reproductive and developmental problems, and damaged immune and hormonal systems. The EPA has clearly abused its power over these African American communities. The agency knowingly and willingly issued permits allowing hazardous facilities to be located in such close proximity to one another. Even after the dioxin problem emerged, the EPA still refused to apply its powers under current environmental law to clean up the pollution in the community, nor did it revoke or modify the permits of the facilities to lower the amount of contaminants that were allowed to be released into the environment. By preying on the Mossville residents, knowing that such a minority group was powerless to fight back, epitomizes the act of legal violence. Even with evidence piled up against the EPA, the agency was still able to leverage its power to the benefit of the industries, without any regard to the life of African Americans. When the maintenance of hegemony assumes more importance than the lives of an ethnic minority, there is a clear infrastructural problem in the EPA. The constant refusal to renew Mossville’s dioxin contamination over decades of time signals an inherent prejudice within the agency itself. Such a disparaging stigma has only been further developed and has only been further ingrained since the dioxin problem emerged. Fortunately, the city of Mossville is currently engaged in an international legal battle against the EPA in an effort to seek the necessary health benefits to address these egregious problems. After decades of complaints, the African American community’s voice is finally being heard. Although the United States has made considerable progress in creating a more egalitarian society, there are still prevalent, obscure incidences of environmental racism. Racial common sense, a socially constructed issue, is a concept that still ravages our society. It has only grown and grown, creating a construct of legal violence that discriminates against ethnic minorities. Environmental racism is an issue that needs to be further exposed in a time of open media in order to generate a feasible solution in the future. The struggle of African American communities against the looming EPA is an ongoing battle that needs to be addressed. Posted in United States and tagged african american, chemical, dioxin, discrimination, disease, environment, environmental discrimination, environmental injustice, environmental protection agency, EPA, industry, louisiana, Mossville, pollution, prejudice, racial, racism, toxin. Bookmark the permalink. Can Narendra Modi Shift India’s Standing on the World Stage?